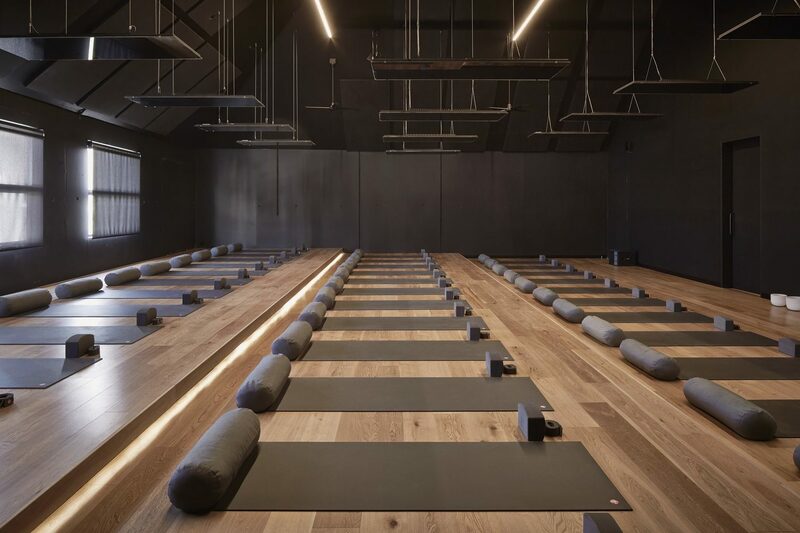 Humming Puppy is a brand new yoga studio that has just opened in Prahran, Melbourne. The studio has been designed by a world class team including system designers and acousticians from Arup. The studio owners have chosen a 40Hz hum as the basis to their offering. A bespoke sound system has been designed and installed to be able to produce this necessary low frequency synonymous with their brand. OneTwoStudios was commissioned to design a natural hum sound and compose a suite of long form soundscapes to accompany each of three styles of class: Mellow, Unified, Dynamic. A recording of one of Humming Puppy’s Himalayan singing bowls was made and detuned to resonate at 40Hz. This was done in order to promote a natural, organic feel as preferred to creating a purely artificial hum. This detuned singing bowl was then processed to modulate the amplitude of the wave across a 10minute loop. This isochronic element was designed to fluctuate between 7.83Hz (Schumann) and 8Hz (Qi Gong). These frequencies were chosen to promote grounding during the classes. Each of the soundscape compositions are tuned to 432Hz tuning to be harmonious with the 40Hz fundamental tone. Tempo, tonality, timbre, and spectral content have been carefully selected to complement each of the different class styles.